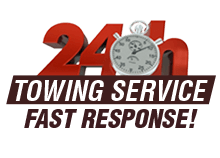 Green Towing San Diego operates around the clock to ensure our customers receive 24 hour emergency tow services throughout the entire San Diego area. Our towing servicemen can reach your location anywhere throughout the San Diego area within 30 minutes. Call us anytime at (858) 4578-5300 . Qualified tow truck operators are standing by 24 hours a day and can arrive within 15-30 minutes! If your emergency relates to being out of gas or if you need to fix flat tire, or simply a tow to a garage, we are here for you. Our tow truck drivers are highly trained professionals who have maintained years of experience in the field. Our flatbed tow trucks are well maintained and are of course available for any San Diego emergency towing need. Trucks and drivers are equipped with the most up to date tools and computers, giving technicians the ability to perform key programming on the spot! Regardless of key type (e.g., transponder key, immobilizer key, remote key, etc.). A jump start is easily accomplished with the set of cables we carry on our trucks. 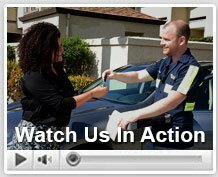 When you are facing a roadside emergency, it is highly recommended to call the experts. Whether it is a jump start or changing a tire to fix flat tire, our technicians can easily and safely get you back on the road. Keep our number (858) 457-8530 in case you are ever in need of our services.